The Michiana Area has an exceptionally rich variety of higher education opportunities. Ancilla College staff can help you transfer credits from training and education programs, previous college credits and we offer free placement testing to gauge your current skill and knowledge levels– we can reboot your education and help you earn a valuable college degree. Veterans attending Ancilla College may receive regular education compensation for which they may qualify through the Veterans Administration. Current Reservists may qualify for a portion of their tuition, fees and books to be paid through the Military Tuition Assistance Program. All military academic transcripts must be submitted to the Registrar’s Office for evaluation of previous credits earned. Both the federal government and nonprofit organizations offer money for college to veterans, future military personnel, active duty personnel, or those related to veterans or active duty personnel. Chapter 33: The Post 9/11 program is available to qualifying veterans at Ancilla College. Students eligible for Post 9/11 benefits should submit their Certificate of Eligibility (COE), if available, to the Office of Financial Aid. If a Post 9/11 veteran is eligible for benefits at the 100% rate, Ancilla College participates in the Yellow Ribbon Program. As part of the Yellow Ribbon Program, a veteran’s tuition and fees will be 100% covered at Ancilla College. The veteran may also be eligible for a book allowance, as well as a living/rent allowance. 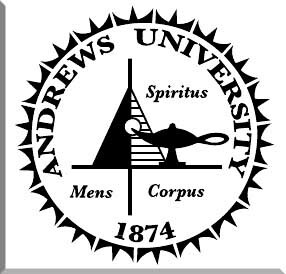 From the very start, back in 1874, Andrews University has placed serious scholarship, quality research and a strong focus on practical Christianity first on the list of things we think are important about attendance at a Christian university. We started out small. Mr. Bell, a teacher, started a tiny school with only twelve students in Battle Creek, Mich. This was the birth of what we now know as Andrews University. Today, Andrews is the best-known Adventist educational institution in the world. At Andrews we are serious about giving you choices. We offer options in undergraduate, graduate and doctoral studies. If you feel like spending a year abroad, you can choose from an impressive range of opportunities at Andrews affiliate schools or service posts around the globe. We are real people at Andrews. Whatever it is you choose to do here, we aim to make sure that you achieve that balance between theory and practice, and that you experience growth on your personal spiritual journey. We are named after John Nevins Andrews (1829-1883), the biggest thinker in the 19th century Seventh-day Adventist Church. He was also the first sponsored missionary that the Church sent overseas. J.N. Andrews’ example of careful thought and compassionate action in Christian life is something that we have taken to heart. Our motto is "Seek Knowledge. Affirm Faith. Change the World." Students from across the United States and the globe are attracted to Andrews because of what we stand for and what we offer. U.S. News and World Report says that Andrews is one of the most culturally diverse universities in the nation. To find out how you can join this thinking, faith-focused and dynamic international community, browse on! 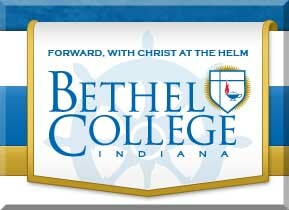 Vibrant Community - Bethel College will be an institution of Christian higher education known for its spiritual vitality and vibrant community ethos. Programming in the areas of spiritual formation, life calling, social life, fitness and wellness, arts and culture, and ethnic diversity will be further strengthened and developed over the next decade. Excellence in Teaching and Learning – It is our intent to build upon the college’s strong foundation as an institution committed to quality teaching and the model of faculty members who serve as guides to the educational journey of our students. We will invest and improve in the areas of outcomes assessment, qualified and effective faculty, and learning environments. Service to Others – We will strengthen our service to others on two fronts. First, we commit ourselves to strengthening our service to students by applying the principles of continuous quality improvement throughout the institution’s administrative and academic support systems. Second, we will seek to expand the college’s service to the community as a witness and testimony of our Christian faith through expanded programming in the areas of volunteer service, missions, and investment of our personnel, facilities, expertise and reputation. Vocational/technical programs, distance learning programs, cooperative on-campus four-year degree programs and continuing education courses are all available right here. Holy Cross College is a Catholic, residential, coed, four-year institution of higher learning, offering an applied liberal arts curriculum. It was founded in 1966 and continues to be conducted by the Brothers of Holy Cross a society of lay religious men within the Congregation of Holy Cross (CSC) who take vows of poverty, celibacy and obedience as a way to more creatively and intimately serve the mission of our Savior Jesus Christ, His Body - the Church, and the needs of the world. Brothers of Holy Cross serve through ministries which educate and sensitize persons to the need of the world for justice and peace. The six schools of study at the ITT Technical Institutes (i.e., the School of Information Technology, School of Electronics Technology, School of Drafting and Design, School of Business, School of Criminal Justice and Breckinridge School of Nursing) teach skills and knowledge that can be used to begin careers in our global technology-driven culture. Most ITT Technical Institute programs of study taught in residence blend traditional academic content with applied learning concepts, pursuant to which a significant portion is devoted to practical study in a lab environment. Advisory committees, comprised of representatives of local businesses and employers, help each ITT Technical Institute periodically assess and update curricula, equipment and laboratory design. Technology FocusedEmphasis is placed on helping you begin to develop skills and knowledge in technical areas that can have practical value in the workplace. Besides technical instruction, the programs of study offered at ITT Technical Institute focus on helping you develop problem solving, critical thinking, communication and teamwork skills. Indiana University South Bend is the only comprehensive public university in North Central Indiana and the third largest campus in the Indiana University system. We’re a university grounded in academic excellence that also offers the full collegiate experience including student housing, more than 100 degree programs, men’s and women’s NAIA basketball and a full complement of activities to enhance your college career. Ivy Tech is dedicated to helping all of our students reach their potential. With an average class size of just 22 students, we give our students the support they need to succeed in an environment that encourages collaboration and shared experiences. And whether they need assistance in getting through a tough class, finding a great job, or overcoming obstacles, our staff is committed to supporting them along the way. Tutors are available at no charge to Ivy Tech Community College students. Whether you need to improve your computer skills or get help with a specific class, a qualified tutor is available to assist. Together in a fellowship in learning, the members of the Kalamazoo College community are developing a model of an educated citizen that combines scholarship, civic engagement, and in-depth living experiences in other countries. As a highly selective, nationally renowned, and internationally oriented four-year college of arts and sciences, Kalamazoo College has developed a tradition of excellence in the fulfillment of this mission. It is located in Kalamazoo, Michigan, and enrolls 1,348 students from 40 states and 25 countries. Founded in 1833, K College is among the 100 oldest colleges and universities in the nation. Kalamazoo Valley offers two types of associate degrees and two types of certificates. To be awarded a degree or certificate, a student must complete all 100 level or higher course requirements and have an overall 2.0 GPA. For example Math 096 or Eng 098 are not considered 100 level or higher courses and therefore will not count toward degree requirements. Please contact the counseling office for further degree/certificate completion requirements. The Associate of Applied Science (AAS) Degree: A degree requiring completion of 62 credit hours or more that prepares the graduate for immediate employment. The Associate of Arts or of Science (AA or AS) Degree: A degree requiring completion of 62 credit hours or more that prepares the graduate to transfer to a baccalaureate-degree granting college or university. Certificate: A one-year certificate requiring completion of 30 credit hours or more that prepares a graduate for a specialized occupation. Certificate of Achievement: A certificate requiring fewer courses than a regular certificate program which provides a graduate with training in a specific set of job or employment skills. Students receive $6 in higher future earnings over the next 30 years for every dollar they invest in their LMC education. LMC contributes $242 million to the economy of Berrien and Van Buren Counties through College operations and past student productivity effects. The LMC Mendel Center serves over 100,000 patrons each year through Mainstage performances, trade shows, business meetings, and social events. 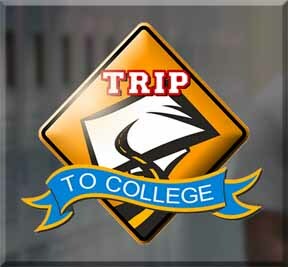 Over 7,000 credit and non-credit students are served annually by the College. In 2005-2006, 1,100 high school students earned college credit through Early College programs. Each year, approximately one-third of LMC students received some type of financial aid. 100% of LMC classrooms are multimedia equipped. A 50-acre natural area of the Napier Avenue Campus serves as a science learning lab and as a wildlife sanctuary. 682 student computers are available at the four campuses. Over 20 LMC courses are offered in an online format. An Honors Program provides additional challenge to students who excel academically. 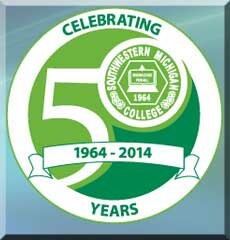 Partnerships with Siena Heights University and Western Michigan University - Southwest provide access to over 20 bachelor and master degree programs on the LMC campuses. Annually, LMC's Community & Business Services division serves more than 50 companies and 2,000 non-credit students. LMC conducts Homeland Security training that, to date, has benefited 20 municipalities. LMC works with over 30 high schools to provide Early College direct credit and dual enrollment classes that allow students to earn college credit while still in high school. Five intercollegiate athletic teams fielded by LMC provide over 70 students each year the opportunity to pursue their academic and athletic talents at the college level. Learn More Indiana’s mission is to help Hoosier students of all ages PLAN, PREPARE and PAY for college completion and career success through effective communications and outreach efforts. Led by the Indiana Commission for Higher Education, Learn More Indiana is a partnership of state and local organizations working to help students of all ages succeed in school, complete college and connect to careers. Our team offers a variety of helpful resources—in print, in person, online and on the phone—to help ALL Hoosiers from kindergarteners to adults turn their college and career dreams into reality. College Success Campaigns, launched throughout the year to guide students every step of the way on their path to college completion and career success. College Success Coalitions, a growing statewide network working to leverage state and local efforts to increase college completion and student success. Located in South Bend's central business district, the campus is easily accessible from I-80, I-90, and I-20. The campus resides in an area recognized for both well established and new businesses, enabling our graduates to explore career opportunities in a wide variety of industries. 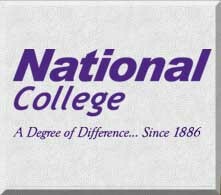 National College opened its South Bend campus in 2010 and continues to build on its reputation among Northern Indiana employers for its skilled graduates. Get started today. To learn more about our career programs, steps to enrolling, financial aid, and more,fill out and submit a Schedule a Visit request. AcademicsNational College is accredited by the Accrediting Council for Independent Colleges and Schools (ACICS) and offers degrees and diplomas in medical, business, and technology fields. The University is organized into four undergraduate colleges — Arts and Letters,Science, Engineering, and the Mendoza College of Business — the School of Architecture, the Law School, the Graduate School, 14 major research institutes, two dozen centers and special programs, and the University Library system. Enrollment for the 2012-13 academic year was 12,126 students overall and 8,475 undergraduates. One indicator of the quality of Notre Dame’s undergraduate programs is the success of its students in postbaccalaureate studies. The medical school acceptance rate of the University’s preprofessional studies graduates is nearly 80 percent, almost twice the national average, and Notre Dame ranks first among Catholic universities in the number of doctorates earned by its undergraduate alumni — a record compiled over some 80 years. The Graduate School, established in 1918, encompasses 48 master’s and 26 doctoral degree programs in and among 30 University departments and institutes. The source of the University’s academic strength is its faculty, which since 1988 has seen the addition of more than 500 new members and the establishment of more than 200 endowed professorships. Notre Dame faculty members have won 49 fellowships from the National Endowment for the Humanities since 1999, more than for any other university in the nation. The mission of the Purdue University College of Technology is to provide excellent technical education for students with an interest in, and aptitude for, applied technologies. The college also participates in appropriate applied research and service activities. 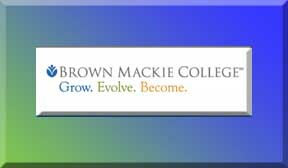 The college's goal is to produce graduates with marketable skills and the capacity for growth on the job. Its departments serve identified needs for technically trained labor within the state of Indiana. These goals are achieved by serving students in many ways—counseling, classroom and laboratory teaching, cooperative programs, and broadly-based general education. Graduates acquire not only technical knowledge and skills but also the ability to communicate well. They are prepared for both immediate employment and continuing development as citizens and responsible human beings. Finally, the college makes every effort to help place its students in appropriate jobs after graduation. 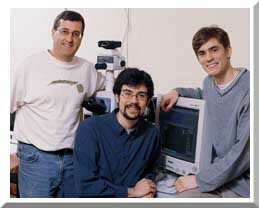 Initial Ross Education activities began in 1969 when J.M. Ross opened a school in Flint, Michigan, under the name Learning Foundations. That school provided “after school” academic instruction to kindergarten through twelfth grade students. Six additional schools were opened from 1969 through 1971 by Mr. Ross. In 1971, the name of the company was changed to Ross Learning, Inc., and the focus of the company shifted to providing prevocational and vocational training services to adults. Ross Learning was purchased by Howard J. Hulsman in 1973 and the organization began evolving into career training centers. In 1976, Ross opened the more comprehensive instructional services of the Ross Medical Education Centers. 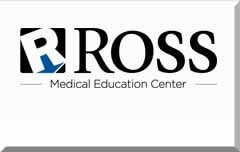 Throughout the 1980s and 1990s Ross Learning, Inc. opened many schools across the Midwestern and Southern United States, all of which operated as Ross Medical Education Center, Ross Business Institute, or Ross Technical Institute. Today, Ross provides Medical Insurance Billing and Office Administration and Medical Assistant training in 29 communities throughout Indiana, Kentucky, Michigan, Ohio, Tennessee, and West Virginia. At several of our campus locations, the Dental Assistant, Pharmacy Technician, and Veterinary Assistant programs are also offered. All programs are accredited by the Accrediting Bureau of Health Education Schools. We have high quality transfer courses and curricula for students who wish to pursue their first two years of a four-year degree at SMC before transferring to a four-year college or university. Plus, SMC is committed to offering the highest quality academic experience at less than half the cost of most four-year colleges and universities. We also offer unparalleled occupational skills training in numerous technical, business, and health-care fields geared toward preparing students for high-wage, high-skill, high-demand occupations. We offer small class sizes, ensuring you will receive significant personalized attention from your instructors. We have campuses conveniently located in Dowagiac and Niles –- close to home and work. Our Dowagiac campus has on-campus housing that offers private, two- and four-bedroom, fully-furnished suites. We also have academic support services that offer assistance every step of the way from the time you apply for admission to SMC to the completion of your degree and beyond. It's your turn to be heard, to stretch your abilities and exercise your imagination. At Saint Mary's College, our rigorous academics and nurturing community will empower you to learn, grow, and lead. Saint Mary’s outstanding faculty are top scholars in their fields and are centered on your education. They’ll engage you in classroom discussions and activities, then lead you outside the classroom for hands-on learning. Our close-knit student community of approximately 1,500 women will embrace and encourage you to achieve your potential and make a difference in the world. Saint Mary's welcomes you, challenges you, and immerses you in academic and personal exploration. Discover your passion and be prepared a life of endless possibilities. It all begins at Saint Mary's. The IU STARS Program gives a select group of science majors an opportunity to conduct research while earning a bachelor’s degree at IU. • Students may receive academic credit for their STARS research. Contact the Program Manager for more details. For outstanding high school students who are planning a career in science, IU STARS can give them the competitive edge necessary for success. 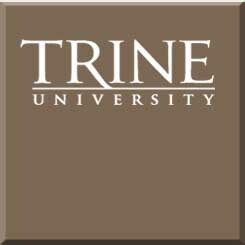 A Commitment to ExcellenceFrom our programs, to our faculty, to our facilities, to the positive impact our work has on communities everywhere, we set our standards at Trine just a little higher. We can’t help it. It’s who we are. It’s why U.S. News & World Report and thePrinceton Review consistently rank us among the Midwest’s best universities, and it’s why more than 1,900 companies around the world seek out our graduates. An Unparalleled CampusIn the last decade alone, we have spent more than $75 million on renovations and new facilities across our campus. Whether it’s the addition of a new, state-of-the-art biomedical engineering building; a football stadium that would make any private college in the country proud; unparalleled apartment-style campus housing; or renovations to performing arts, business, education, and dozens of other facilities; the Trine campus is, in a word, exceptional. An Innovative SpiritInnovation is in our DNA at Trine. It always has been. In fact, the modern-day golf ball was patented by a Trine graduate. Our students enjoy an active and engaging learning experience, winning national awards for the hands-on work they accomplish. We’ve invested more than $8 million in the Division of Innovation and Technology. And we recently unveiled a new, high-tech Project Based Learning Center for Excellence. Everyone needs some education or training after high school. There are lots of options from one- and two-year training programs, two-year Associate Degrees and four-year Bachelor’s Degrees. The following pages will take you to colleges, universities and career training opportunities in Indiana. 90% of high school students will stay in Indiana for college. This is because Indiana has 40 campuses, dozens of Ivy Tech locations, and hundreds of majors and training programs. Students will also have the most opportunity for financial aid by staying in state.